Aloe extract allows irritated skin to feel rested and moist. 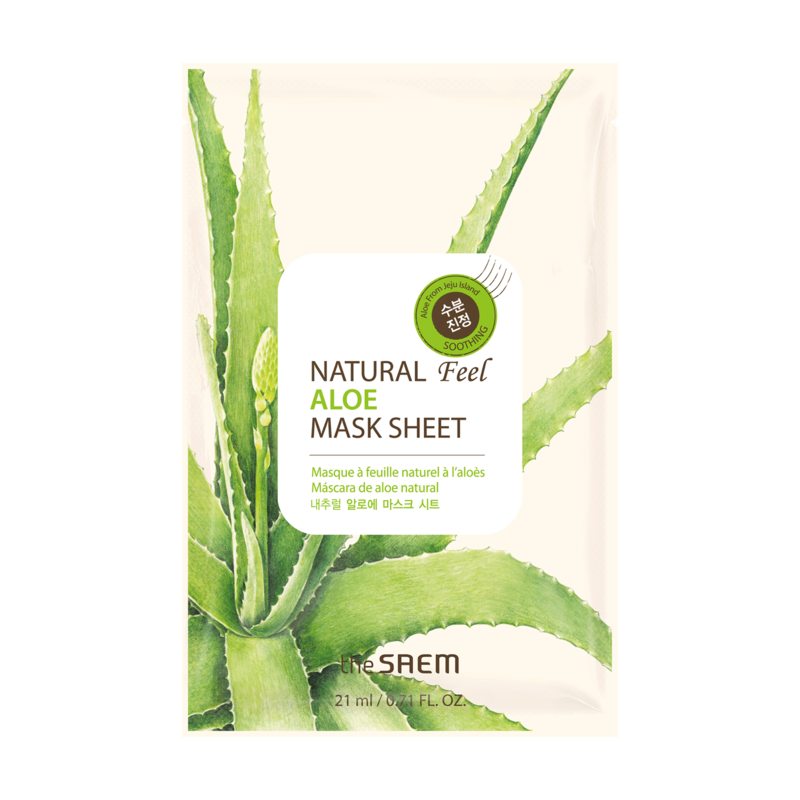 A mask sheet containing excellent moisturizing ingredients and skin calming effect. Purified water, glycereth-26, dipropylene glycol, propanediol, ethanol, aloe vera leaf extract, beta-glucan, sodium hyaluronate,Hydroxy ethyl cellulose, Indian oriental resin extract, disodium edetate, sodium carbomer, hydroxyethyl cellulose, allantoin, Di-potassium glycyrrhizate, phage-60 hydrogenated castor oil, 1,2-hexanediol, glycerin, butylene glycol, caprylic glycol, Licorice extract, Omiza extract, Huangli extract, Ginger extract, Green tea extract, Hexylene glycol, Hydroxyacetophenone, Clofenacin, fragrance.